Who do you fight for? 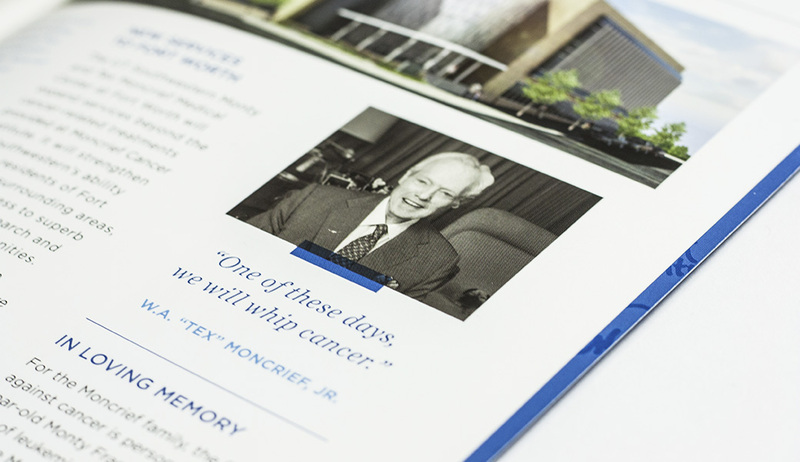 - Schaefer Advertising Co.
It’s been 4 years since Moncrief Cancer Institute, part of UT Southwestern’s world-renowned NCI designated cancer program, last presented an annual report, and since then there has been tremendous growth in outreach activities and services provided. 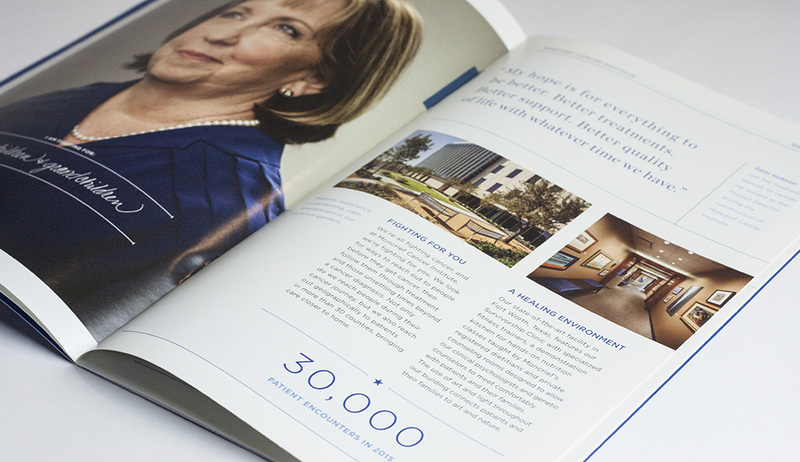 Consequently, Moncrief came to Schaefer looking for a way to update the community on news, growth, and upcoming plans in a way that was engaging and went beyond the standard annual report. 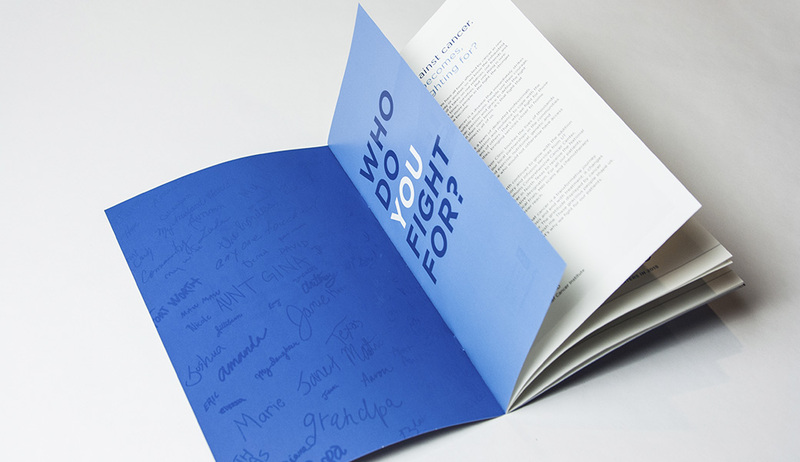 Instead of simply presenting the information in a passive way, we wanted to ask something of the reader while at the same time introducing Moncrief’s brand essence, and subsequently creating an umbrella under which future materials could be produced. 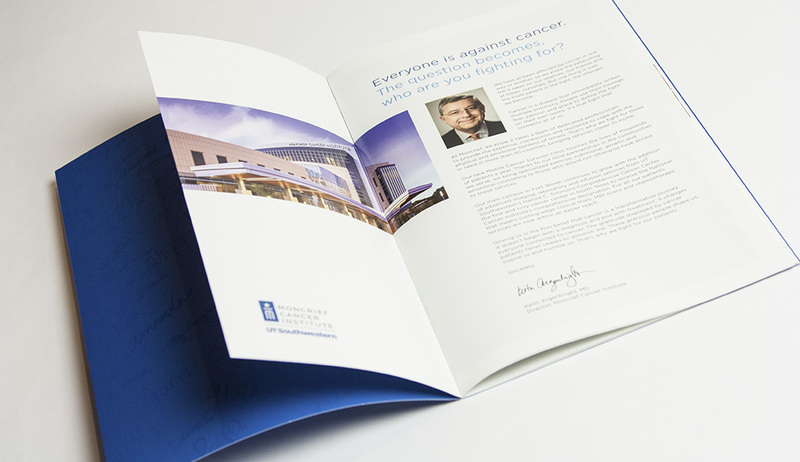 The central theme of the report acknowledged that no one is for cancer; therefore everyone’s against it. Or in other words, everyone is fighting cancer. 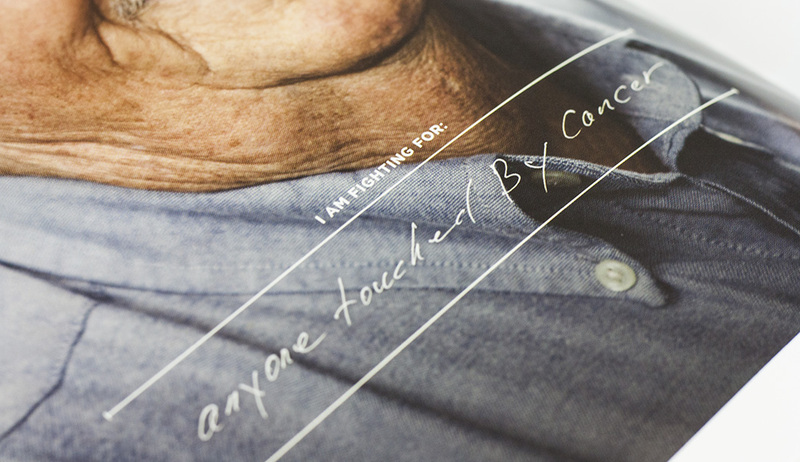 Not just those directly affected by the pervasive disease, but each of us in our own way is in the fight. That’s a concept that not everyone grasps. 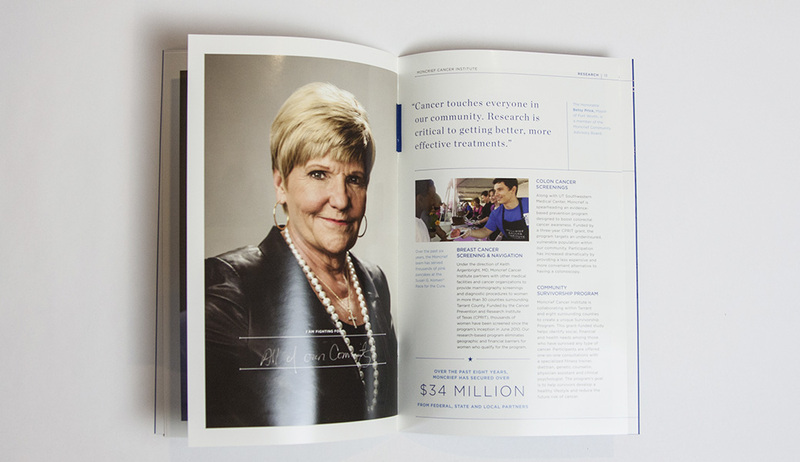 So we took the opportunity to position Moncrief as a leader in the fight against cancer. 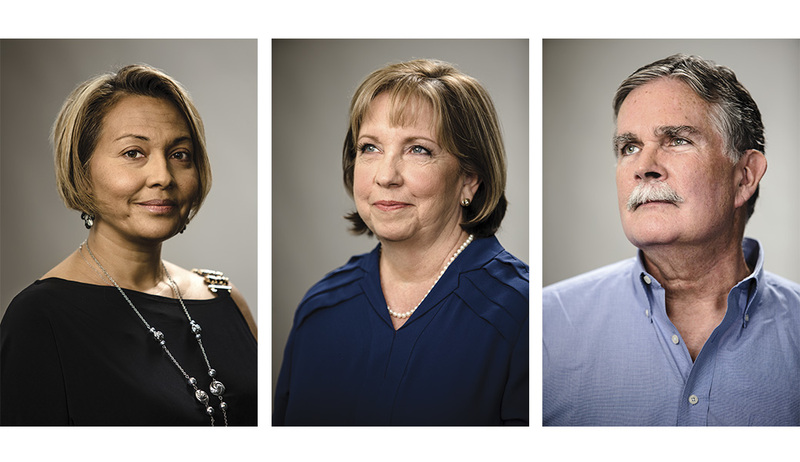 Moncrief has taken on the role of informing and empowering the entire community to rally around the fight against cancer. 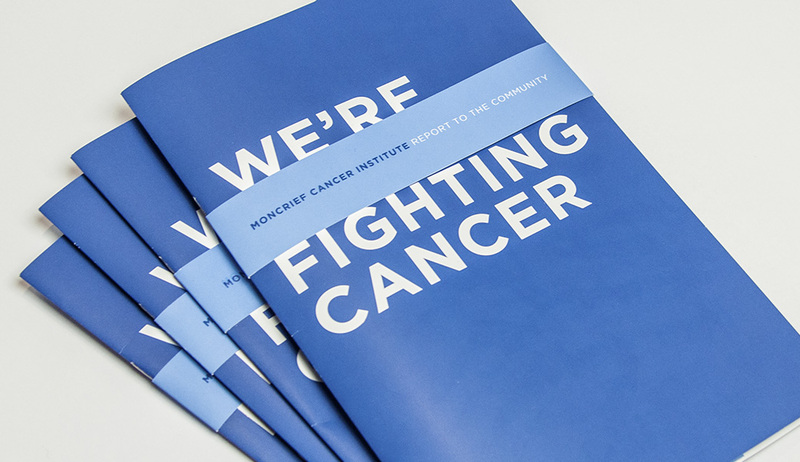 With this idea in mind, the report specifically dove into how Moncrief is helping reduce the threat of cancer in our community through education and putting the right resources in the right places to make superlative cancer care and treatment available to those in need. 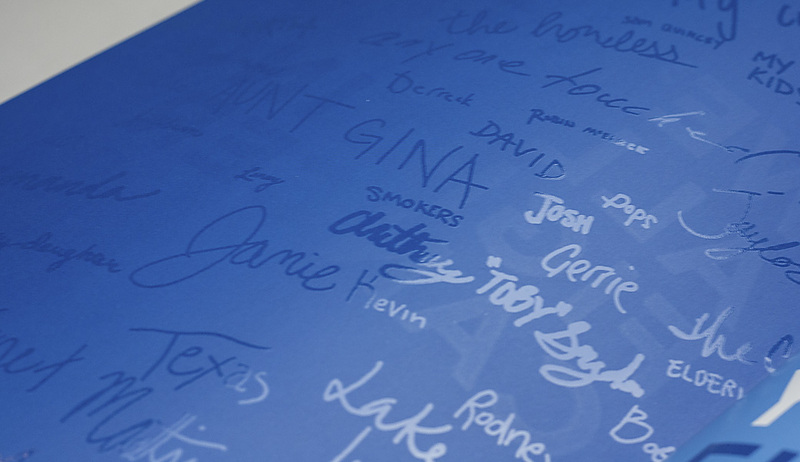 And coming full circle, through the Moncrief Cancer Institute programs we are providing a platform for the community to engage in the fight, whether for themselves or for others.